Kreditkarte, PayPal, EPS, Giropay € 28,56. 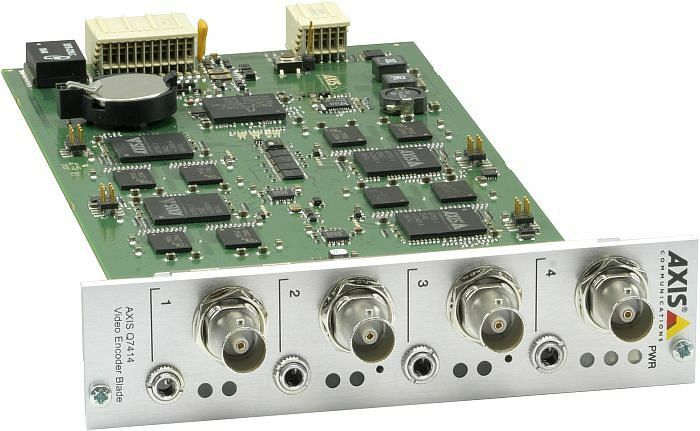 AXIS Q7414 VIDEO ENCODER BLADE Four channel video encoder blade. Multiple, individually configurable H.264 and Motion JPEG streams/ max. D1 resolution at 30/25 fps per channel. COMPATIBLE WITH AXIS Q7900 RACK AND AXIS 291 1U VIDEO SERVER RACK.